General Atomics Electromagnetic Systems (GA-EMS) announced that it has been awarded a contract from Advanced Technology International (ATI) to develop and demonstrate a prototype Lithium-ion Fault Tolerant (LiFT) battery system for the U.S. Navy’s prototype “Snakehead” Large-Displacement Unmanned Undersea Vehicle (LDUUV). “Our LiFT battery systems are designed to withstand the rugged marine environment and provide safe, reliable power that is critical to keeping propulsion and support systems operating throughout a mission cycle,” said Scott Forney, President of GA-EMS. “We look forward to expanding our efforts to develop and demonstrate prototype LiFT battery systems to support the LDUUV, as we continue to provide LiFT systems for various other critical manned and unmanned underwater platforms used by the Department of Defense,” he added. “LiFT batteries are designed with passive safety features not found in other solutions. Some lithium-ion battery systems rely on an active forced water cooling system to cool batteries and mitigate thermal events. Active systems add more equipment, weight, and certification requirements to qualify a platform for use in a maritime environment. LiFT battery systems eliminate those complexities, simplifying installation, operation, and maintenance without compromising safety and reliability,” stated Rolf Ziesing, Vice President of Programs at GA-EMS. The LiFT battery system’s modular design and single cell fault tolerance is designed to prevent uncontrolled and catastrophic cascading lithium-ion cell failure, improving the safety of personnel and platforms while keeping power available for high mission assurance. 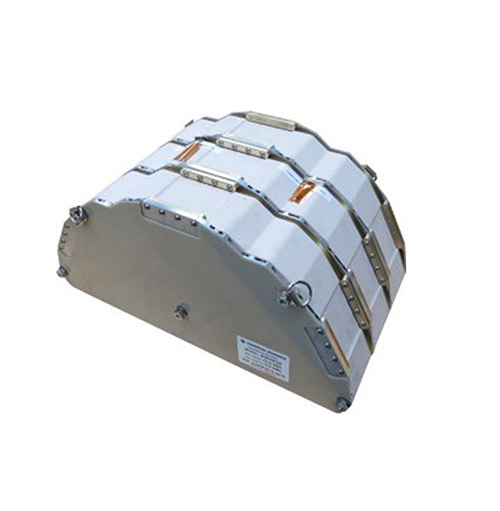 The flexible architecture of the high energy density LiFT battery system can be configured to meet the most demanding needs of manned and unmanned underwater vehicles. LiFT battery systems have undergone rigorous at-sea testing, including use in other undersea vehicles that have been classified by Det Norske Veritas Germanischer Lloyd, an international accredited registrar and classification society for the maritime industry, further demonstrating the safe operation of the LiFT battery system architecture.